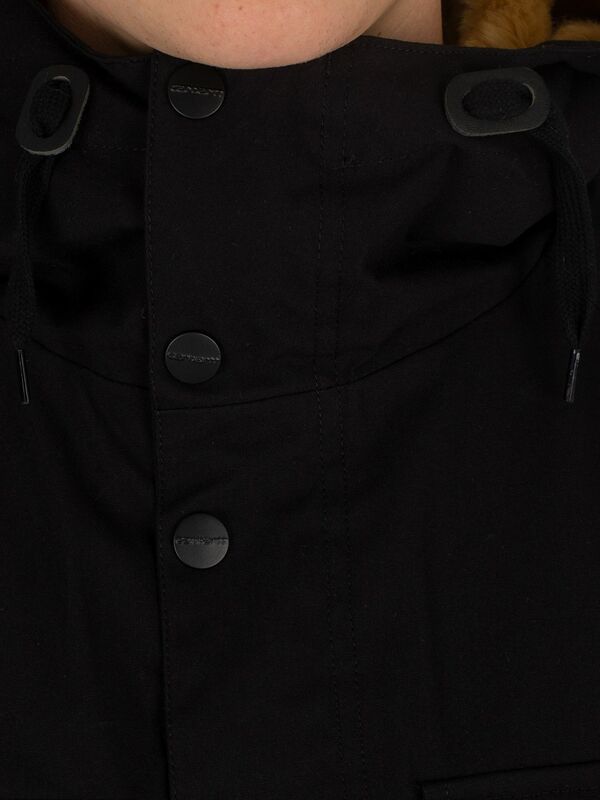 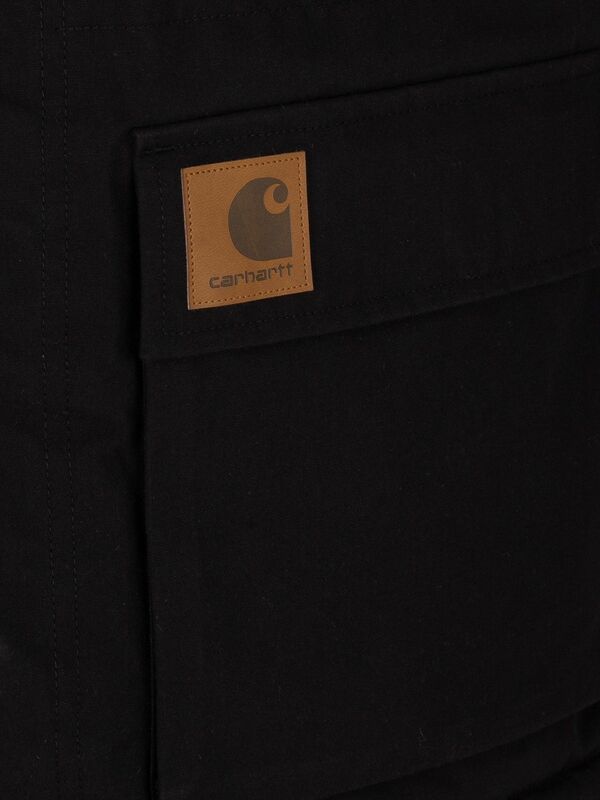 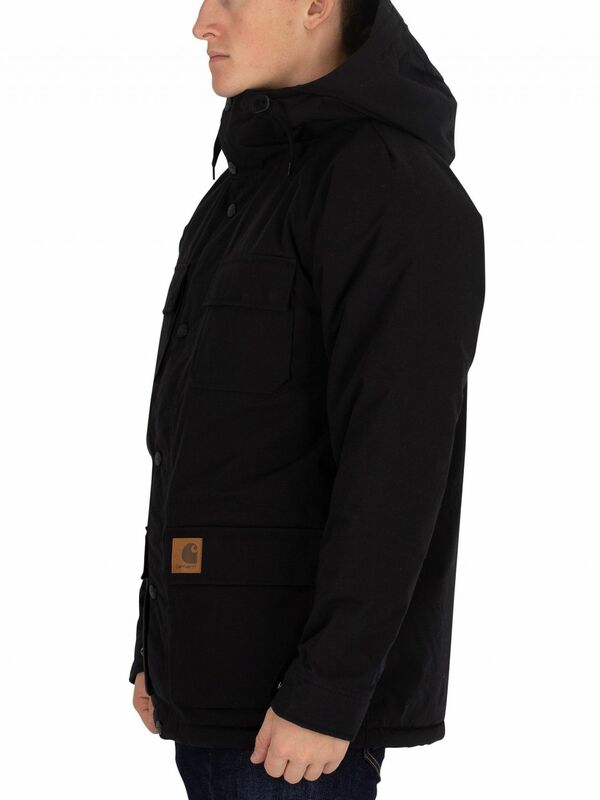 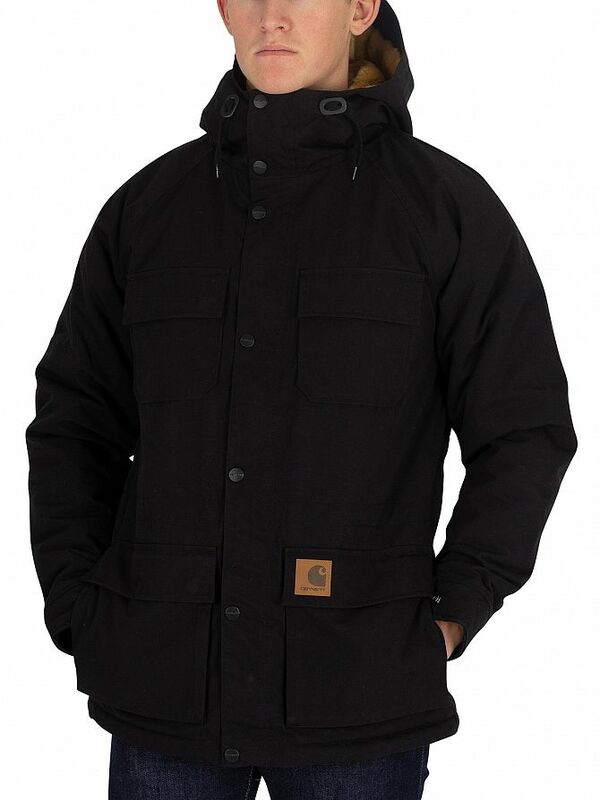 This Mentley Logo Jacket by Carhartt WIP sports hood and front zip closure with buttoned flap closure. 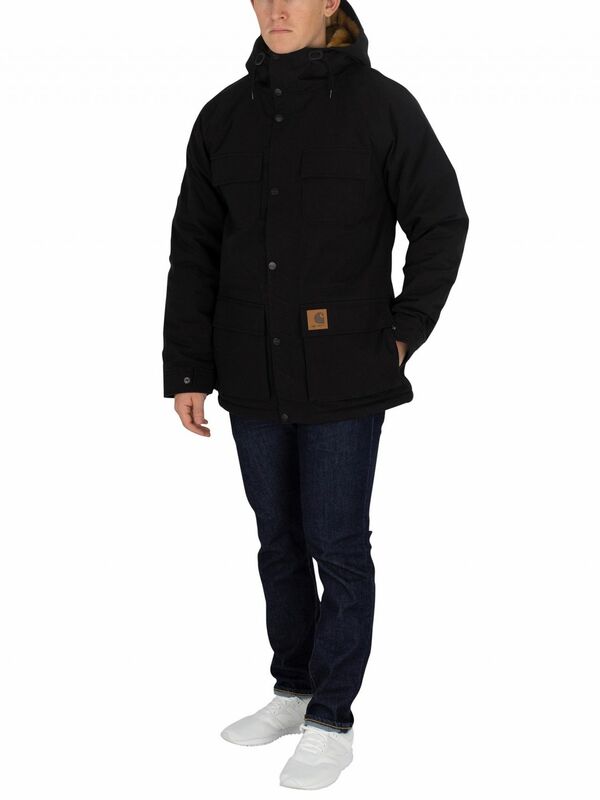 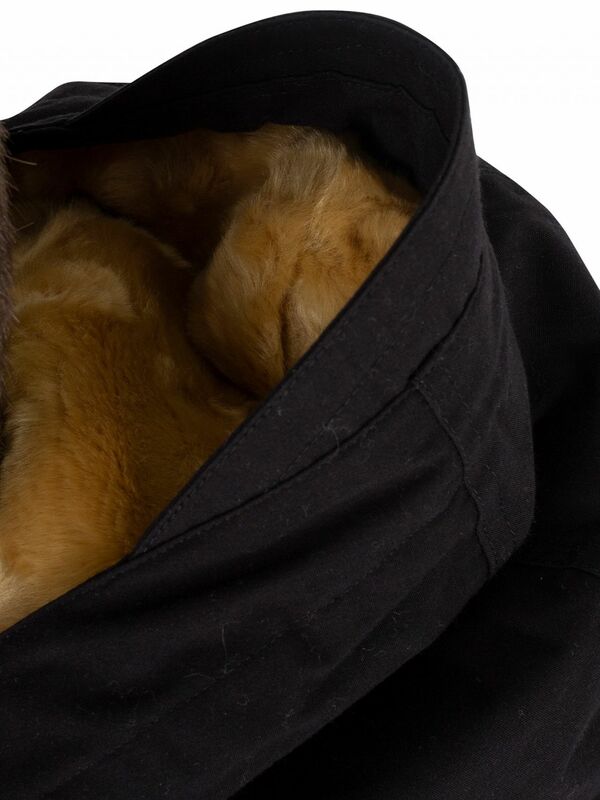 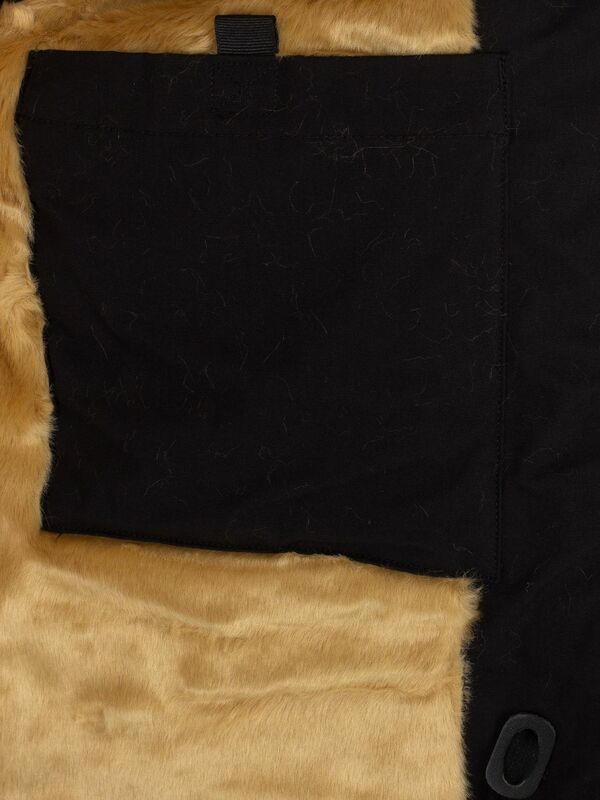 With four flap pockets, this long sleeved jacket also sports Fur lining including hood, logo on pocket and button closure sleeves. 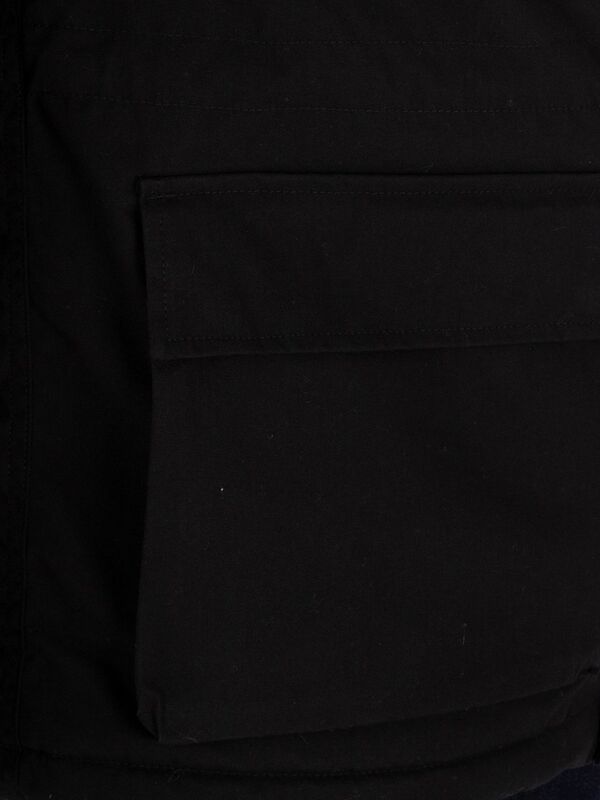 It comes in Black. 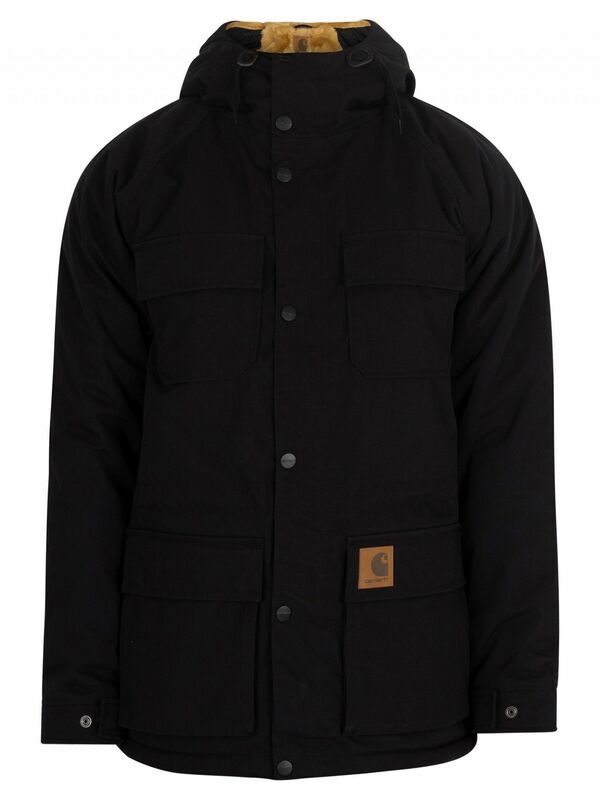 View similar Carhartt WIP or similar Hooded Jackets.